The first human-rated expandable structure that may help inform the design of deep space habitats is set to be installed to the International Space Station April 16. 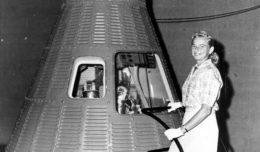 NASA Television coverage of the installation will begin at 5:30 a.m., EDT. 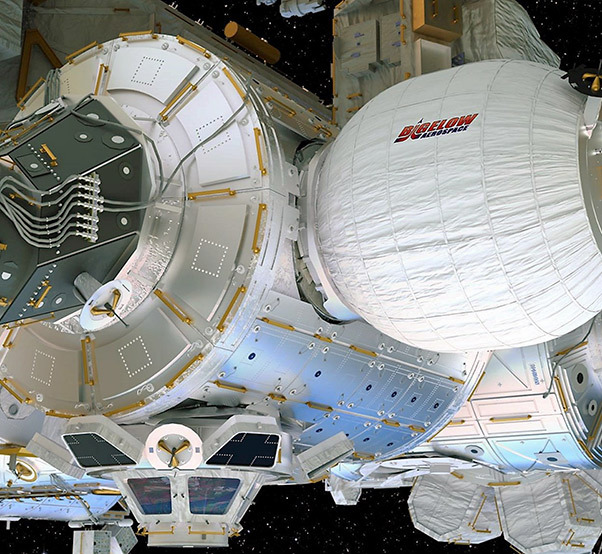 The Bigelow Expandable Activity Module will be attached to the station’s Tranquility module over a period of about four hours. 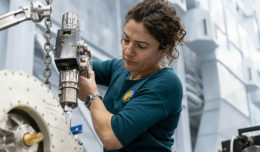 Controllers in mission control at NASA’s Johnson Space Center in Houston will remove BEAM from the unpressurized trunk of SpaceX’s Dragon spacecraft, using the robotic Canadarm2, and move it into position next to Tranquility’s aft assembly port. 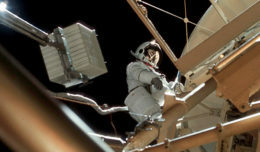 NASA astronauts aboard the station will secure BEAM using common berthing mechanism controls. Robotic operations begin at 2:15 a.m. and are expected to be complete by 6:15 a.m.
BEAM launched aboard Dragon April 8 from Cape Canaveral Air Force Station, Fla. At the end of May, the module will be expanded to nearly five times its compressed size of 7 feet in diameter by 8 feet in length to roughly 10 feet in diameter and 13 feet in length. Astronauts will first enter the habitat about a week after expansion and, during a two-year test mission, will return to the module for a few hours several times a year to retrieve sensor data and assess conditions. Expandable habitats are designed to take up less room on a rocket, but provide greater volume for living and working in space once expanded. This first test of an expandable module will allow investigators to gauge how well the habitat performs overall and, specifically, how well it protects against solar radiation, space debris and the temperature extremes of space. Once the test period is over, BEAM will be released from the space station, and will burn up during its descent through Earth’s atmosphere. BEAM is an example of NASA’s increased commitment to partnering with industry to enable the growth of the commercial use of space. The BEAM project is co-sponsored by NASA’s Advanced Exploration Systems Division and Bigelow Aerospace. For coverage times and to watch the BEAM installation live, visit http://www.nasa.gov/nasatv. For more information about BEAM, visit http://www.nasa.gov/beam. For more information about the International Space Station, visit http://www.nasa.gov/station.